I’ve mentioned before that my toddler is a bit of a train fan, so we thought he, and his 5 year old brother, would like a day out on the North Yorkshire Moors Railway. 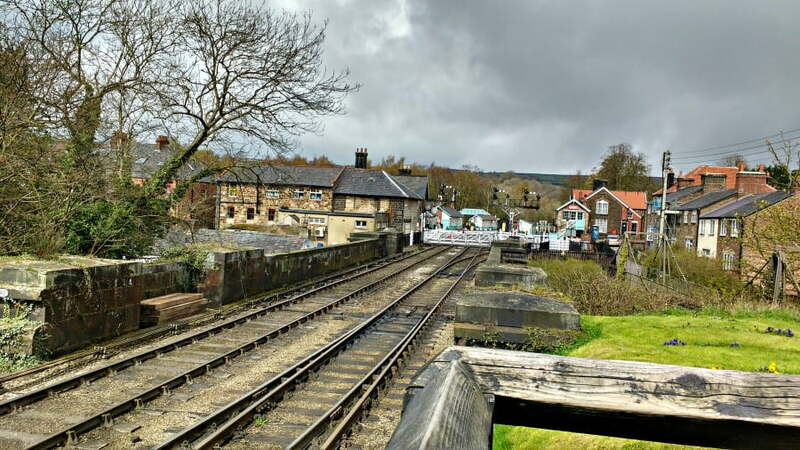 The North Yorkshire Moors Railway is an 18 mile heritage railway which runs from the market town of Pickering in North Yorkshire, through the North York Moors towards the seaside town of Whitby. 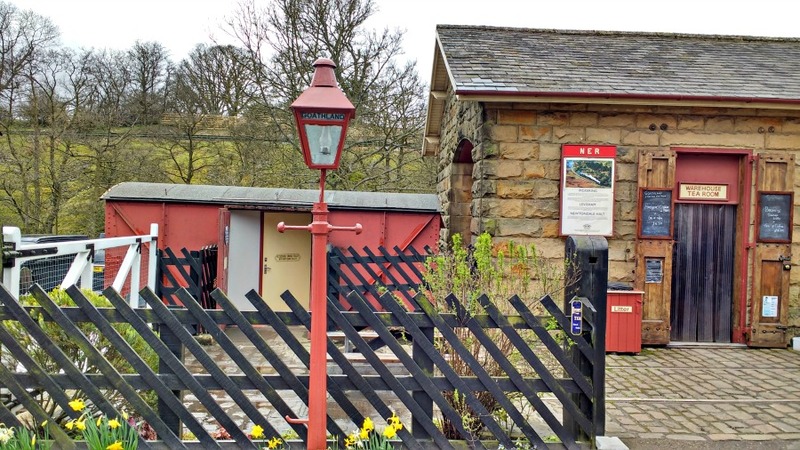 There are various stations along the way which you can stop off at including Goathland, which is famous for being Hogsmeade in the Harry Potter films and Aidensfield in Heartbeat. We arrived at Pickering Station in time for the 11am departure to Grosmont. 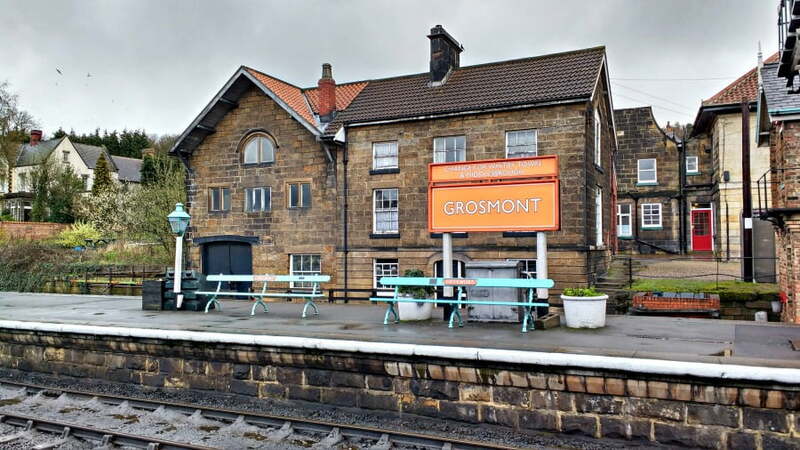 Grosmont is a station in the heart of the North Yorkshire Moors, and takes about an hour to get to from Pickering. We thought it would give us a taster of the North Yorkshire Moors scenery, and would be long enough for the boy’s attention spans! Grosmont Station also used to be the terminus of the NYMR, so is the home of the engine sheds where the trains are maintained. The train chugs nice and slowly out of Pickering Station picking up speed as it starts to climb into the Moors. The train line follows the path of the River Esk which winds alongside the side of the track past farms and through forests, before the scenery starts to open up to the expanse of the Moors. Trees become scarcer and the heather which signifies the North Yorkshire Moors becomes more prevalent. The North Yorkshire Moors is famous for being one of the most scenic train journeys in the UK, and whilst I knew that my husband and I would love seeing the scenery pass by, I was worried that this might not interest the boys. However, there was a good mix of sheep (not a dog as the toddler thought), pheasants, other trains, stations and signals to keep the toddler interested. Plus, the train kept whistling which amused him no end. We passed through Levisham station (20 mins), then Goathland (50 minutes) before we arrived at Grosmont. There isn’t a huge amount at Grosmont, but somehow we ended up spending a couple of hours here before catching the return train back to Pickering. 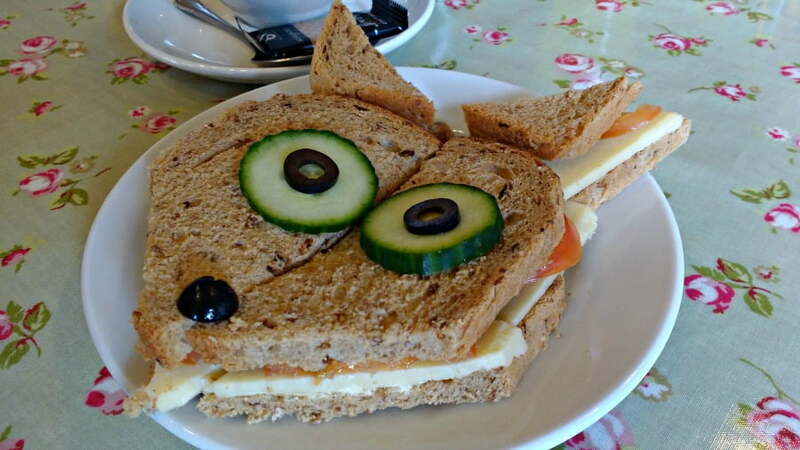 There is a great family friendly tea room at Grosmont called the Old School Coffee Shop. This is about a minutes walk from the station across the level crossing towards the famous George Stephenson Tunnel. Unsurprisingly, this coffee shop is in a former school and serves a fantastic range of sandwiches, paninis, soup, cakes and coffees. 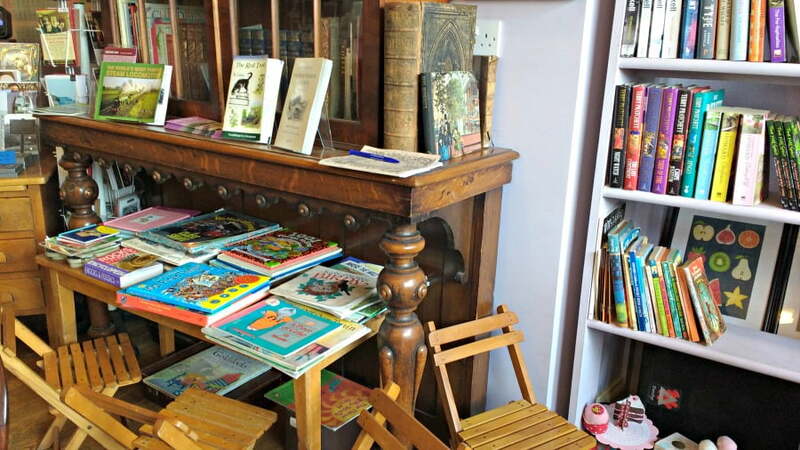 Children’s sandwiches cost £2.50 and there are children’s books and toys available to play with, as well as a little quiz for children to take part in too. 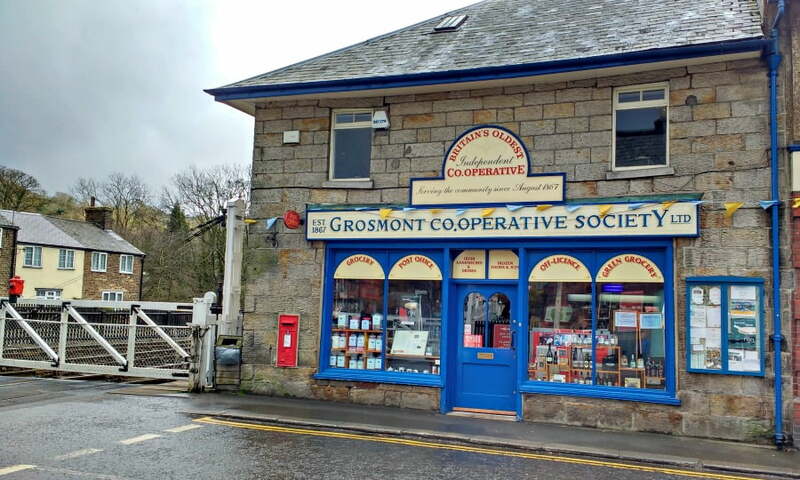 There is a log fire keeping the coffee shop warmer on cooler days and the owners are so welcoming and friendly that I’d definitely recommend it to other families visiting Grosmont station. After lunch at the Old School Coffee Shop, we had a wander around the Engine Sheds and shop before heading back to the station to catch the train back to Pickering. 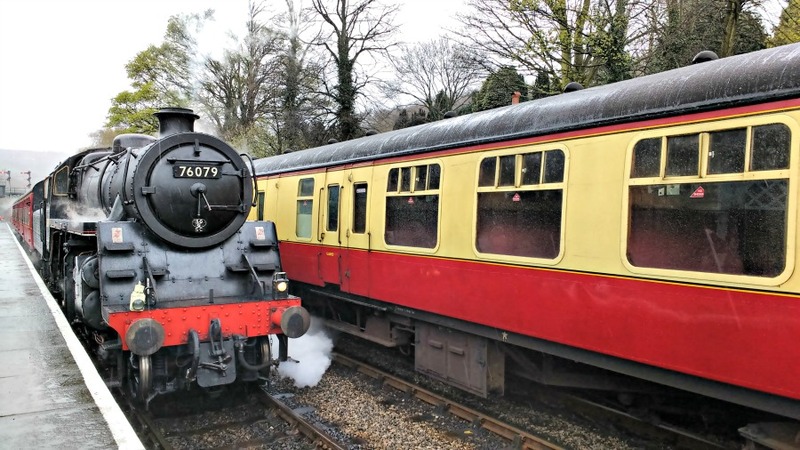 Is A Day Out On The North Yorkshire Moors Railway Toddler Friendly? Yes – depending on your toddler’s attention span, you can choose the length of the time of the train journey you want to take on the train. Toddlers who don’t sit still might prefer to take the train from Pickering to Levisham (20 mins) and back again. Older toddlers might like to go the full distance to Whitby and have a day out at the seaside. There are plenty of picnic spots at the stations so you can bring your own sandwiches and sit outside on a summer’s day. I also saw one family who brought their toddler’s balance bike with them for their little one to scoot around when they arrived at the stations. There are lots of little shops along the route which sells NYMR memrobillia as well as Thomas the Tank Engine goodies. My boys both loved it, and my husband and I loved seeing the spectacular scenery characteristic of the Moors. There is plenty of parking at Pickering Station – this costs £5 for the day so make sure you bring correct change. There are toilets on board but don’t use them whilst the train is in a station! 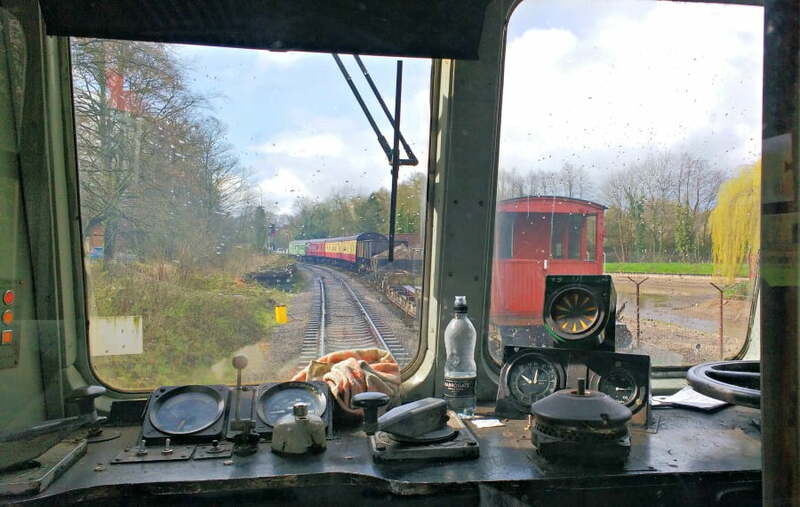 The timetable changes very frequently so check the website to find out the train times for the day you want to visit. There is a mixture of steam trains and diesel trains operating the route so check the timetable to find out what type of train will be operating your journey if you have a particular preference. Prams and pushchairs can be taken on the train and stored in the Guards Van (accessed by a ramp) on every train. There are baby changing facilities at Pickering, Goathland and Grosmont Stations. 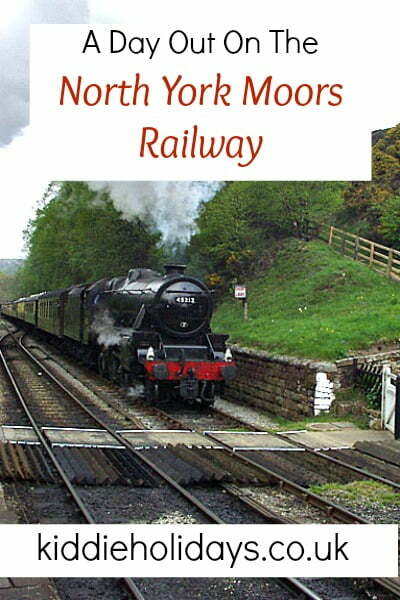 Visit the NYMR website to book tickets. Discounts of between 10% and 20% are available on tickets purchased 7 days in advance. Children aged 3 and under travel free. Check out the NYMR website for a full list of fares along the route. Jo, this looks amazing! I am sure I would like this as much as the kids. The York pass might be perfect for when family visits. Great piece Jo, thanks for sharing. My boys love trains so this is definitely one for our hit list! 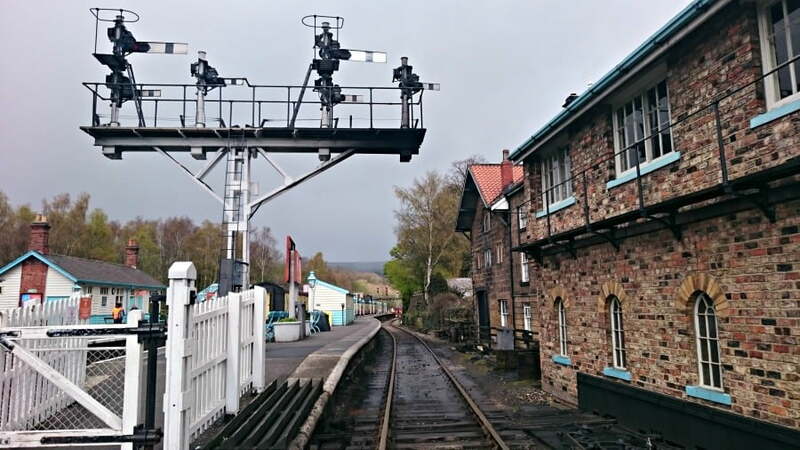 We love NYMR – I just wish it was a little closer. I haven’t ever been to the Old School Coffee Shop – so will definitely be venturing so we can get one of those fab sandwiches! On our first visit we weren’t aware of the storage for prams etc… so were a little stressed about the logistics, but when we arrived the staff were really helpful and made sure that we successfully made the train. You should definitely check it out Erin – you can visit so many attractions with the York Pass. Looking forward to visiting a few more attractions on the York Pass this summer! Ah brilliant day out! I remember doing this when I was little. Pickering was somewhere we regularly visited on holiday, and you can’t go there without a ride on a steam train! 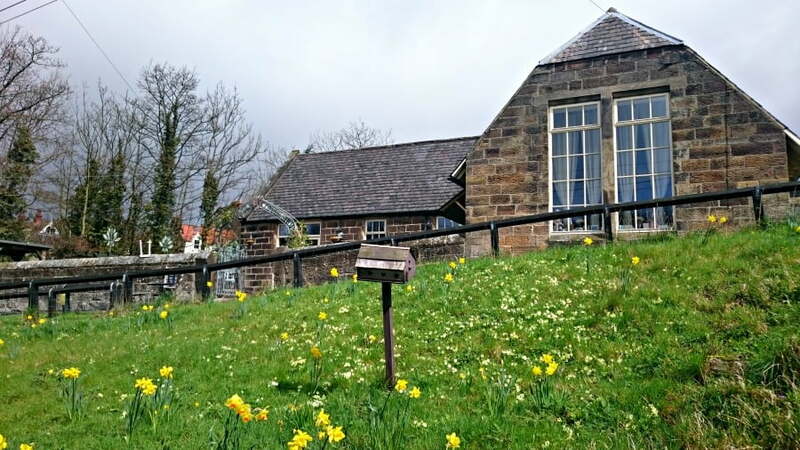 Is Goathland still done up in 1960s style? Yes Goathland is still done up 1960’s style! Well worth a visit!